- How to identify points where supply and demand are out of balance and price is about to move. - The two common mistakes of the novice trader or investor that may be costing you money-and how to avoid them. - How to pick low-risk, high potential entry points for your trade. - How to apply a simple rule-based strategy to any asset class including stock, options currencies and futures. - How to build a successful trading plan for any time frame, from current income to retirement security. - What to expect in the current volatile stocks market. - How to trade consistently in down or up markets. - Sponsorships for stocks class. Most short term retail traders lose money, and the average longer term investors never come close to achieving their financial goals. Yet, the average financial institution makes fortunes buying and selling in the same markets. 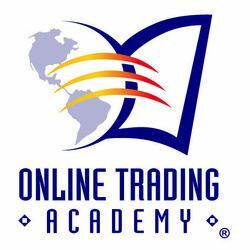 At Online Trading Academy, we teach a patent pending supply and demand strategy that enables traders to make money regardless of what the market is doing. The key is identifying market turning points, it doesn't matter if the direction is up or down. And you can find out how it works in a 3 Hours Trading Workshop. Over 30,000 graduates have learned to trade like professionals for current income and long-term financial security at our 34 global financial education centres. No wonder we're the world's most trusted source of trader and investor education. (Free E-book given to first 20 registrants). For any enquiries, contact us at 81334482 or email us at amy.lim@tradingacademy.com.